CINCINNATI -- A new transportation option has arrived in Downtown and Over-the-Rhine after popping up overnight. 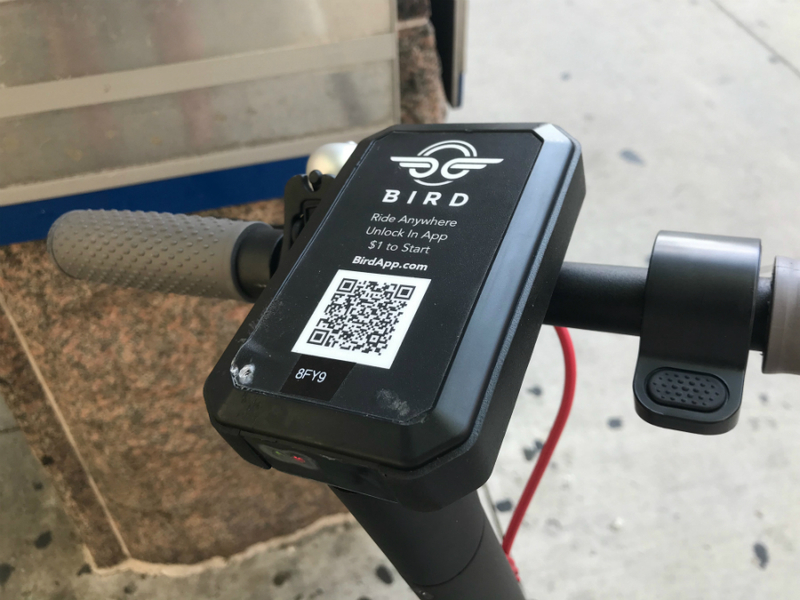 People living and working in the two central neighborhoods found dozens of Bird brand electric scooters positioned at multiple locations Thursday morning, available to rent using a mobile app. Riders can rent scooters starting at $1. After the $1 base fee, riders pay 15 cents per minute while the scooter is unlocked. According to the app, helmets are required, along with a valid driver's license. The app also advises against riding on the sidewalk and in public parking structures. The mobile app accepts credit cards and will ask to scan the rider's driver license before unlocking the scooter. The app shows riders where to find scooters to rent and activates the scooter using a QR code. The scooters are "dockless," meaning riders can park them anywhere -- although the app reminds riders several times throughout the process to park the scooters out of the public right-of-way. It recommends parking on the sidewalk near the curb, facing the street, near signposts, bike racks, trees or other on-street infrastructure. The company crowd-sources the overnight charging of the scooters, hiring individuals through their website or app to collect the scooters each evening for re-charging. The city of Cincinnati learned this morning that Bird -- a dockless scooter-share company -- has launched operations in Cincinnati. Given that we just learned of the matter, we are still in the process of evaluating the possible impact on neighborhoods. According to Bird's website, Cincinnati makes the company's 17th city, and its first in Ohio.